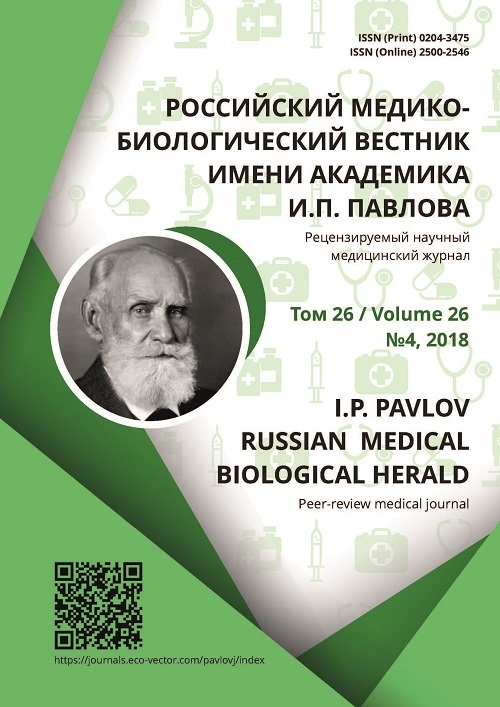 Authors: Kade A.H., Trofimenko A.I., Turovaia A.Y., Pevzner D.A., Lazarev V.V., Lysov E.E., Pogosyan S.A., Minina I.I. Currently, congenital cardiovascular diseases, including congenital heart defects, contribute to the morbidity and mortality of children worldwide. In this regard, great importance is gained by experiments that allow studying the development of cardiovascular system (CVS). The use of chicken embryos laid the foundation for an experimental study of both the physiology and pathology of the development of CVS. In virtue to accumulated theoretical and experimental material about pattern of development chicken embryos and their organs it becomes possible to study etiology and pathogenesis of many cardiovascular diseases. Due to the availability, large size, simplicity of manipulation and cultivation, chicken embryos served as a model for describing of the development and vascularization of the heart, and due to the high conservatism of many key mechanisms of early ontogenesis, the data obtained from such experiments could also be extrapolated to humans. Work with chicken embryos formed the basis for human knowledge in the field of embryogenesis of the cardiovascular system - the formation of the myocardium, epicardium, endocardium, coronary vascular bed, chambers of the heart and the main vessels. With the development of new biomedical technologies, primarily the techniques of intravital imaging, the range of possible interventions on the CCC of the chick embryo has expanded. Taking into account these advantages and the improvement of experimental methods, models based on chicken embryos do not lose relevance to this day. ontogenesis of the heart, pathology of heart development, chick embryo, experimental model, ex-periment..
Use of chick embryos laid the basis for experimental study of physiology and pathology of the cardiovascular system (CVS). Due to availability, large size, simplicity of use in manipulations, chick embryos serve a model for studying anlage, development of the heart, and of its vascularization. A high conservatism of many key mechanisms of the early ontogenesis permits to extend the obtained data to humans. This is promoted by development of different in ovo, ex ovo, in vitro methods for biochemical, genetic, physiological and pathological study of different aspects of the morphogenesis of the heart [1,2]. It was on chick embryos that the role of endocardial cells in the anlage of coronary vessels during trabeculation of the myocardium, and the mechanism of formation of the aorta, as well as formation of proepicardium and epicardium, were studied . Modern knowledge about the role of proepicardium (PE) in the formation of coronary vessels is based on the research conducted on chick embryos. Development of coronary vessels starts from movement of mesothelial cells of PE from the liver bud toward the surface of the heart where they differentiate into cell lines making different parts of the heart. In chicks, PE arises from the mesothelial cells located along the caudal border of the pericardial cavity. These cells are easily identified in light microscopy and are well amenable to experimental manipulations . Cells of PE associated with the initiation of trabeculation, migrate toward the heart and form its outer envelope – epicardium which integrates into the myocardial wall thus giving rise to formation of the coronary vessels and to increase in the amount of fibroblasts in the myocardial wall . Unfavorable fusion of PE with the heart results in defects of the coronary circulation and in thinning of the myocardium . Experiments with labeling of PE cells with fluorescent proteins and β-galactosidase identify specially stained smooth myocytes and endotheliocytes of coronary arteries in mature embryos which confirms the hypothesis of formation of the coronary arteries directly from PE . Prevention of fixation of PE cells to the heart in chicks prevents development of the coronary vessels. This also shows the necessity of PE cells for formation of the coronary vessels . Progress in understanding of the mechanisms of development of the coronary vessels, of the origin of endothelial cells of the heart, and also unique properties of chick embryos make the latter a useful experimental model. Labeled quail’s PE cells transferred to a developing chick embryo lead to development of smooth muscle cells and fibroblasts in the heart of a recipient chick, with this, in the coronary arteries and in endocardium endothelial cells are absent. For development of endotheliocytes, besides PE cells, transplantation of quail’s liver into the recipient embryo is also required . In examination of cultures of PE cells obtained from chick embryos, a number of regulatory mechanisms were identified that lead epicardial epithelium to epithelial mesenchymal transition (EMT) and to cell differentiation required for development of coronary vessels . In the process of deve-lopment cells undergo EMT which results in alteration of the morphology, polarity and motility of cells. Experiments on chick embryos helped determine the function of chemokines during EMT in the heart . Experiments on embryos facilitated understanding the key mechanisms of development of cardiac valves in the early stages of morphogenesis and identified heterogeneity of endocardial cells in the embryonic heart. Structural analysis of the embryonic heart identified transformation of endo-cardial cells in matrix-rich valve-forming regions of the heart – endocardial pads . Development of the culturing system in vitro for evaluation of the embryonic valve-forming tissue  permitted to clearly describe the process of transformation of endocardial cells which served the basis for elaboration of the system of screening and identification of the morphogens which control cell transformation. In the course of culturing on the collagen gel with use of certain areas of the cardiac tube it was possible to isolate cell types of interest and to study their mechanisms of transformation in development of cardiac valves. Most research works use an area of the cardiac tube lying between the common atrium and ventricle, the so called atrioventricular pad (AVP) where the inlet valves are formed. Transformation of the implanted AVP was extensively studied in the experiments on birds’ embryos [13,14]. These experiments showed that the endocardium of pads considerably differs from the endocardium spanning the ventricle . Description of the heterogeneity of endocardial cells with use of embryos has a decisive significance for understanding of the early stages of development of valves and for elaboration of similar experimental methods to be used with other organisms. Use of method of explants in vitro permitted to identify the key regulators of transformation of endocardial cells. A classic example is identification of the role of the transforming growth factor β (TGFβ) in development of the heart. Addition of ligands, neutralizing antisera or antisense oligonucleotides to the explant culture permitted to identify specific TGFβ-ligands and receptors that regulate transformation of the endocardial cells . A significant improvement of the method of explantshas been achieved due to technology of use of viral vectors for introduction of genes into AVP or endocardial cells of the ventricle. In the first experiments genes were introduced into the endocardial cells by incubation of explants with cultural fluid containing a viral vector that often resulted in ineffective contamination of the endocardial cells. At first this approach was used for identification of the role of atypical III type TGFβ receptor (TGFβR3) in transformation of the endocardial cells. Later ex ovo modifications of this method with use of new methods of culturing  permitted manipulations on the embryo outside the egg, with the introduction of the virus-containing solution directly into the lumen of the cardiac tube in the stage of its development before its connection to the vascular network . Injection of solution containing adenovirus, results in a highly effective contamination of the endocardial cells along the whole length of the cardiac tube. After that, the quantity of the contaminated endocardial cells that underwent transformation was counted in the AVP or explants of ventricles. In the experiments, transfer of adenovirus gene was used to study the function of TGFβR3 in the endocardial cells. Over expression of this receptor in the ventricular endocardial cells which usually do not have TGFβR3, leads to their transformation after addition of TGFβ-ligand. These studies on chick embryo identified the key signal molecules that regulated transformation of the endocardial cells, and permitted to elaborate a similar system for in vitro study in mice that added new data to those obtained on chick embryos . A permanent interest in transformation of the endocardial and endothelial cells both in development of valves and in the mechanisms underlying transformation of the endocardial cells, keeps research works on chick embryos relevant. Cardiac neural crest is necessary for normal development and further functioning of the CVS. Cells of the neural crest may be obtained from neural folds located between the centers of otic placodes and the caudal part of the 3d somite. A peculiarity of this kind of cells is a possibility of differentiation to different types of mesenchymal cells which, together with neurogenic cells, also participate in development of the CVS. Elimination of the primary cardiac neural crest leads to some cardiovascular anomalies: a common arterial trunk, double-outlet right ventricle, double-inlet left ventricle . Non-cardiac anomalies may result in aplasia or hypoplasia of the thymus, thyroid and parathyroid glands . Experiments with use of birds’ embryos, especially of chick chimeras, enabled analysis of migration and of differentiation of cells of the neural crest . This approach showed an important role of the neural crest cells in development of the heart. In particular, these cells make a contribution to development of the aortopulmonary and conotrunkal septum. It was also found in the experiments on chick embryos that chemokine stromal cell factor (SDF1) and its related receptor Cxcr4 are important for migration of neuronal crest cells into the heart. It was shown that SDF1 acts as a chemoattractant. Disorders in signalization of SDF1 caused cardiac anomalies, including in complete septation of the aorta, of the pulmonary trunk and defects of the interventricular septum . During completion of the process of formation of the cardiac loop, parts of the heart begin to differentiate into two atria and two ventricles. Appearance of atria starts with formation of the septum from the dorsocranial wall of the atrium in stage 14 by Hamburger-Hamilton. In the experiments on chick embryos it was found that formation of the valves is coordinated by myocardial-endocardial interactions which regulate blood flow in the heart . Besides, polymerase chain reaction of micro-RNA identified profiles of their expression in the atrial, ventricular and atrioventricular areas of the developing chick’s heart. In particular, miR-23b, miR-199a and miR-15a showed enhanced expression in the early development of the atrioventricular canal, and analysis of target genes evidenced their participation in regulation of the ways of transmission of the electro-muscular potential . Walls of the heart chambers also undergo morphological changes. At first the myocardial layer of ventricles forms protrusions, called trabeculae, which protrude into the lumen of the chamber and get covered with a layer of endocardium. The process of formation of trabeculae starts in stage 16 by Hamburger-Hamilton. Throughout all stages of embryonic development, the enlarged surface area of the heart created by trabeculae, plays an important role in vascularization and in the process of delivery of oxygen to the heart. Being available for observation and for different manipulations, chick embryo played an important role in early descriptions of the vascular systems of vertebrates by William Harvey and Marcello Malpighi. With the modern non-invasive visualization systems, chick embryo is a reliable model for in vivo monitoring of the vascular network. When the developing chick embryo is liberated from the egg and is cultured ex ovo, chorioallantoic membrane expands in a natural way and exposes its vascular network providing a convenient access to it for long-term visualization in experiments. The pattern of the blood flow in the developing heart plays a significant role in the morphogenesis of the heart. In response to the force of the blood flow, the cultured cardiac endothelial cells restructure their cytoskeleton and change expression of genes . To establish connections between such data obtained in in vitro conditions and an intact heart of embryo, a number of quantitative methods of in vivo analysis of the intracardiac flows were applied. Using in vivo visualization, it was shown that high-frequency shear turbulent fluctuations in the developing heart produce more significant influences that could be expected in that small structures with low values of Raynolds number. To verify significance of these shear forces in vivo, experiments were conducted with block of the blood flow which resulted in formation of hearts with an abnormal third chamber, disorders in formation of the cardiac loop and of the valves. Similarity between these and some congenital heart defects shows the importance of the intracardiac hemodynamics as the key epigenetic factor in the embryonic cardiogenesis . MicroRNA participate in regulation of such biological processes as proliferation, differentiation, apoptosis and maintenance of the normal physiology of cells. Aberrant expression or deletion of microRNA is associated with abnormal differentiation of a cardio-myocyte, derangement of development of the heart and with cardiac dysfunction. Several micro DNA were found in the cardiac muscle and in cells of myotomes of skeletal muscles of chick embryos. The sequence of miR-1 plays an important role since it regulates cardiogenesis and myogenesis: miR-1 is transcribed by miR-1-1 and miR-1-2 genes . Transcripts of miR-1 were found in the forming cardiac tube starting from differentiation of cardio-myocytes from stage 9-10 up to stage 22 by Hamburger-Hamilton . Excessive expression of miR-1 leads to stoppage of formation of the heart, to development of thin-walled ventricles and to cardiac failure in result of premature dif-ferentiation and proliferation of defective cardiomyocytes . Differentiation of cells in the heart is regulated by different transcription factors: bHLH, hand1andhand2, whose expression regulates development of the left and right ventricles, respectively. Expression of transcription factor hand2 depends on isl-1, and of hand1 – on nkx2-5 . Factor nkx2-5 interacts with the family of transcription factors t-box and is one of elements of the activation or suppression of expression of genes responsible for differentiation of the heart structures. The intensity of expression of nkx2-5 factor is of no significant importance for formation of the sinus node . However, interaction of nkx2-5 with tbx2 or tbx3 leads to repression of the gene regulating atrial natriuretic peptide, and of connexin-40, during differentiation of the conducting system of the heart including sinoatrial node [30,31]. Thus, experiments that study development of the cardiovascular system in early stages of the ontogenesis, are a rather promising source of information for creation of the theoretical basis of knowledge of the circulatory system congenital pathology. Use of chick embryo laid the basis for experimental study of physiology and pathology of the cardiovascular system. Accumulated theoretical and experimental material on the regularities of development of the embryo and of its organs made it possible to study etiology and pathogenesis of many cardiovascular diseases. Work with chick embryos laid the basis for gaining knowledge of embryogenesis of the cardiovascular system – formation of the myocardium, epicardium, endocardium, coronary vascular bed, heart chambers and major vessels. The advance of the novel biomedical technologies, first of all, of methods of the intravital visualization, extended the range of interventions into the cardiovascular system of chick embryo. Taking into account the mentioned advantages and improvements of experimental methods, models based on chick embryos remain relevant up to the present moment. Patten I, Kulesa P, Shen MM, et al. Distinct modes of floor plate induction in the chick embryo. Development. 2003;130(20):4809-21. doi: 10.1242/dev.00694. Taber LA. Biomechanics of growth, remodeling, and morphogenesis. Applied Mechanics Reviews. 1995;48(8):487-545. doi: 10.1115/1.3005109. Perez-Pomares JM, Carmona R, Gonzalez-Iriarte M, et al. Origin of coronary endothelial cells from epicardial mesothelium in avian embryos. International Journal of Developmental Biology. 2002; 46(8):1005-13. Dusi V, Ghidoni A, Ravera A, et al. Chemokines and heart disease: a network connecting cardiovascular biology to immune and autonomic nervous systems. Mediators of Inflammation. 2016;2016. doi: 10.1155/2016/5902947. Bernanke DH, Markwald RR. Effects of hyaluronic acid on cardiac cushion tissue cells in collagen matrix cultures. Texas Reports on Biology and Medicine. 1979;39:271-85. Barnett JV, Desgrosellier JS. Early events in valvulogenesis: a signaling perspective. Birth Defects Research, Part C: Embryo Today: Reviews. 2003; 69(1):58-72. doi: 10.1002/bdrc.10006. Desgrosellier JS, Mundell NA, Mc Donnell MA, et al. Activin receptor-like kinase 2 and Smad6 regulate epithelial-mesenchymal transformation during cardiac valve formation. Developmental Biology. 2005;280(1):201-10. doi: 10.1016/j.ydbio.2004.12.037. Bockman DE, Kirby ML. Dependence of thymus development on derivatives of the neural crest. Science. 1984;223(4635):498-500. Le Douarin NM, Creuzet S, Couly G, et al. Neural crest cell plasticity and its limits. Development. 2004;131(19):4637-50. doi: 10.1242/dev.01350. Escot S, Blavet C, Härtle S, et al. Misregulation of SDF1-CXCR4 signaling impairs early cardiac neural crest cell migration leading to conotruncal defects. Circulation Research. 2013;113(5):505-16. doi: 10.1161/CIRCRESAHA.113.301333. Bressan M, Yang PB, Louie JD, et al. Reciprocal myocardial-endocardial interactions pattern the delay in atrioventricular junction conduction. Development. 2014;141(21):4149-57. doi: 10.1242/dev.110007. Bonet F, Dueñas Á, López-Sánchez C, et al. MiR-23b and miR-199a impair epithelial-to-mesenchymal transition during atrioventricular endocardial cushion formation. Developmental Dynamics. 2015; 244(10):1259-75. doi: 10.1002/dvdy.24309. Hove JR, Köster RW, Forouhar AS, et al. Intracardiac fluid forces are an essential epigenetic factor for embryonic cardiogenesis. Nature. 2003;421 (6919):172-7. doi: 10.1038/nature01282. Kloosterman WP, Plasterk RH. The diverse functions of microRNAs in animal development and disease. Developmental Cell. 2006;11(4):441-50. doi: 10.1016/j.devcel.2006.09.009. Espinoza-Lewis RA, Wang DZ. MicroRNAs in heart development. Current Topics in Developmental Biology. Academic Press. 2012;100:279-317. doi: 10.1016/B978-0-12-387786-4.00009-9. Buckingham M, Meilhac S, Zaffran S. Building the mammalian heart from two sources of myocardial cells. Nature Reviews Genetics. 2005; 6(11):826-37. doi: 10.1038/nrg1710. Tomanek RJ. Developmental progression of the coronary vasculature in human embryos and fetuses. The Anatomical Record. 2016;299(1):25-41. doi: 10.1002/ar.23283. Copyright (c) 2018 Kade A.H., Trofimenko A.I., Turovaia A.Y., Pevzner D.A., Lazarev V.V., Lysov E.E., Pogosyan S.A., Minina I.I.